The Warriors pulled off a surprise 93-run victory on the final morning of their 4-Day Franchise Series match against the Dolphins at Kingsmead. 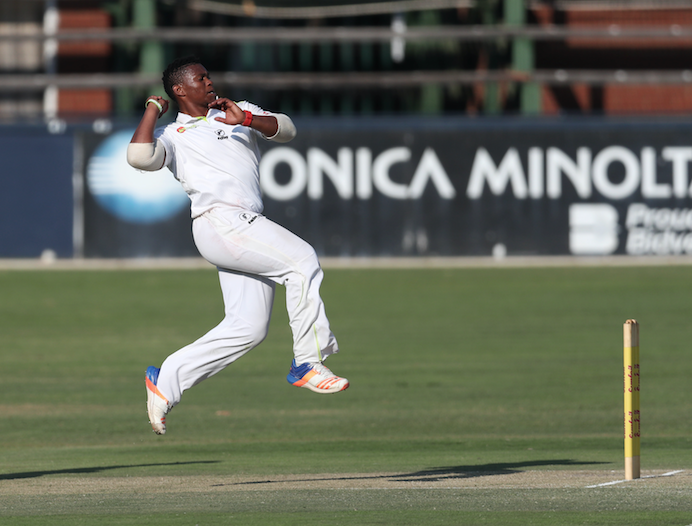 Chasing a pleasant target of 217 for victory, the Dolphins were looking well set at 42-0 and 89-2, before brilliant bowling by JJ Smuts, Sisanda Magala and Simon Harmer saw the Dolphins rolled unceremoniously for 123 in 43 overs. 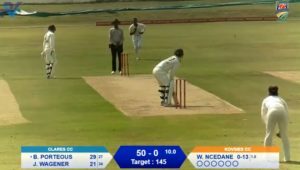 Cody Chetty top-scored with 33 off 39 balls after Sarel Erwee (25 off 52) and Vaughn van Jaarsveld (18 off 54) had taken the Dolphins to 42 without loss. A major collapse saw the last seven Dolphins wickets fall for just 34 runs as the Warriors powered their way to an important win that pushed the Warriors up to third on the log, while the Titans and the Dolphins occupy the two bottom spots. Smuts took 4-17 and Magala 3-7, backed up by Harmer with 2-55. Warriors No 3 batter Colin Ackermann was named Player of the Match for his second-innings century that gave the Dolphins a target to defend. ‘When you have two or three opportunities to put the game away and you don’t take them, it can really hurt,’ said Dolphins coach Grant Morgan. ‘We have done the introspection but we aren’t seeing the results of that, and I will take responsibility for that. It’s not good enough and we will have to find a way to come back from this. There is a big difference between say and do and we have now got another opportunity to do when we go to Cape Town next week,’ added Morgan ahead of the Dolphins match against the Cobras at Newlands.